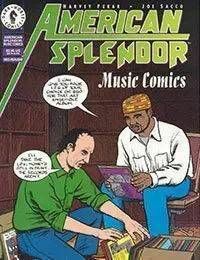 From 1992 through 1996, Harvey Pekar and Joe Sacco created a series of comics strips for The Village Voice. The strips are primarily about jazz the people who played it and the people who lived it. This comic collects the best of these strips, newly reformatted for comics, with Pekars trademark style thatll leave anyone even readers who dont know from jazz wanting to find the rest.